Health Net: $4500 deductible, no coinsurance, no dental/vision --- $65 / month. Yeah. 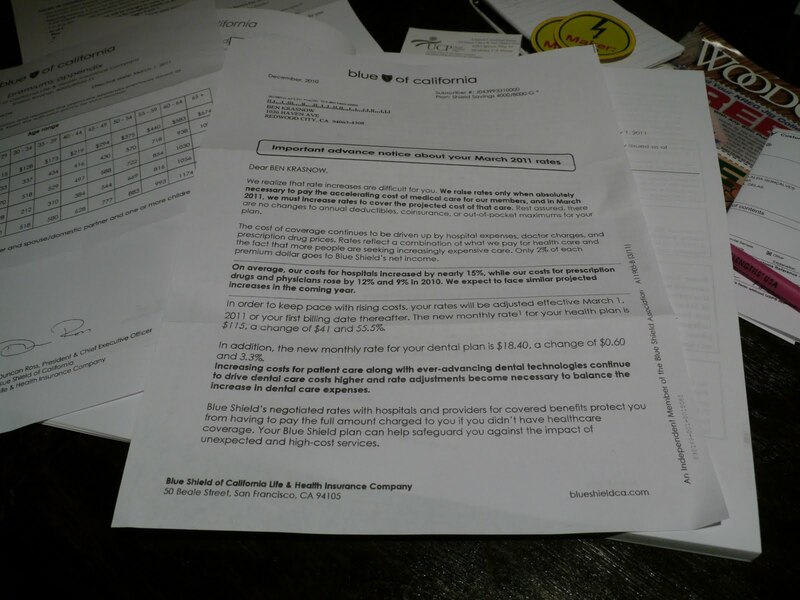 Blue Shield claims they are losing money in the individual health care market. I don't know what they are doing wrong, but it seems pretty bad. Force health insurance companies to compete by choosing the company with the best rate. It's the only way to keep them honest. 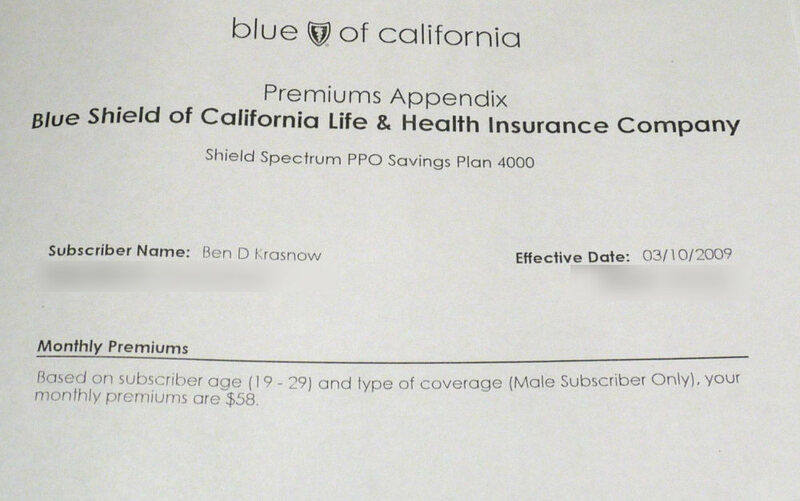 A few weeks ago, I received a 32-page booklet from my health insurer, Blue Shield of California, titled "updates to your health plan." Of course, the updates included higher premiums and less coverage. Today, I received another missive; this time just a two-page letter. 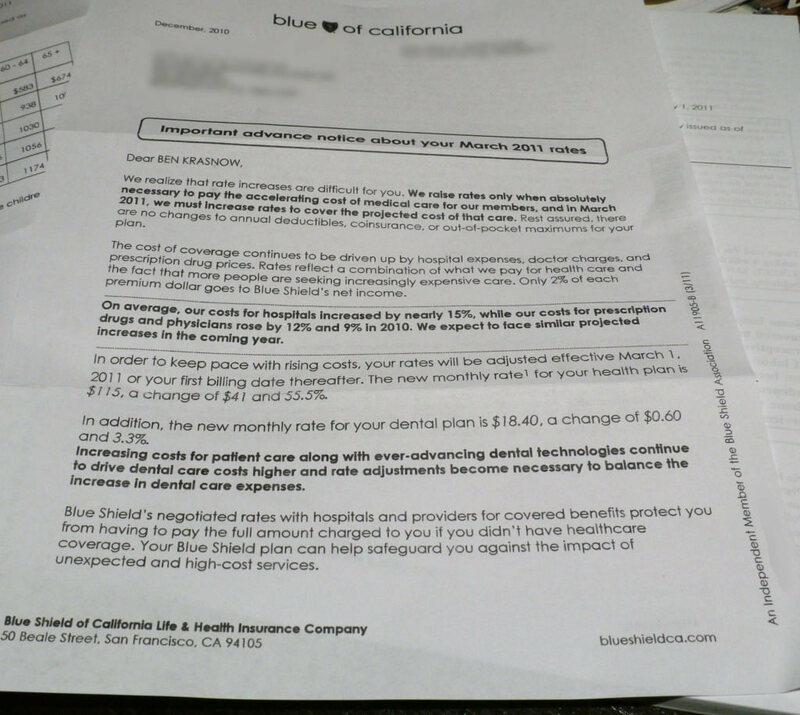 Apparently, Blue Shield is so excited about raising rates, they have already issued another rate increase even before the original rate increase has gone into effect. The total premium increase will be a 55.5% increase within a three-month period and a 98% increase since I bought the individual policy in March 2009. 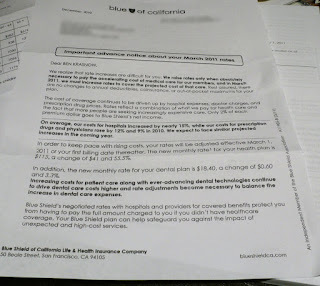 When I first bought health insurance with Blue Shield in March 2009, the policy cost $58. This is almost the least expensive health plan available from any company. It has a $4000 deductible, and I am in the second-cheapest age bracket: 19-29. I also bought a dental plan for an additional $18. At some point in late 2009 or early 2010, Blue Shield raised the health insurance premium to about $75. The letter says that hospital costs went up 15%, and prescription drugs and physician costs went up 12% and 9%, respectively, in 2010. In addition, the letter states that only 2% of premiums contribute to Blue Shield's "net income". Therefore, they must raise my premium by over %55 in the next three months, not including the first rate increase they issued in early 2010 to cover their costs. Either their math is wrong, or I do not understand their definition of "net income." 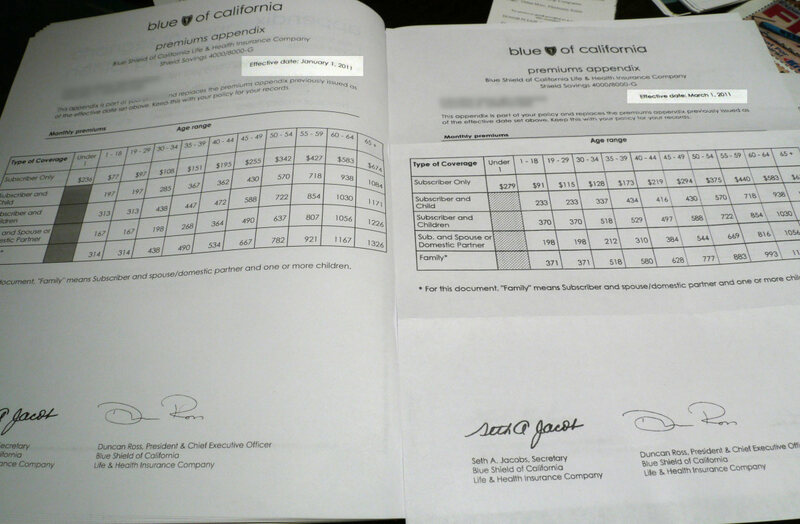 In early December, Blue Shield sent me the booklet with the chart on the left. 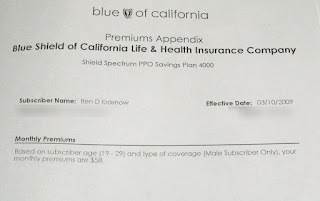 It says my premium should be $97, but by late December, Blue Shield had sent another letter and decided the plan should really cost $115. What changed between the first and last week of December? Payroll tax cut? I mean, hey, the government didn't give any sort of explicit tax cut for health insurance companies in this latest round of wild tax cuts, and so insurance companies just needed to step in and take what's rightfully theirs. You know, people will have more money in their pocket due to the payroll tax cut, so they can just send that extra money directly over to their favorite health insurance company. That seems fair. 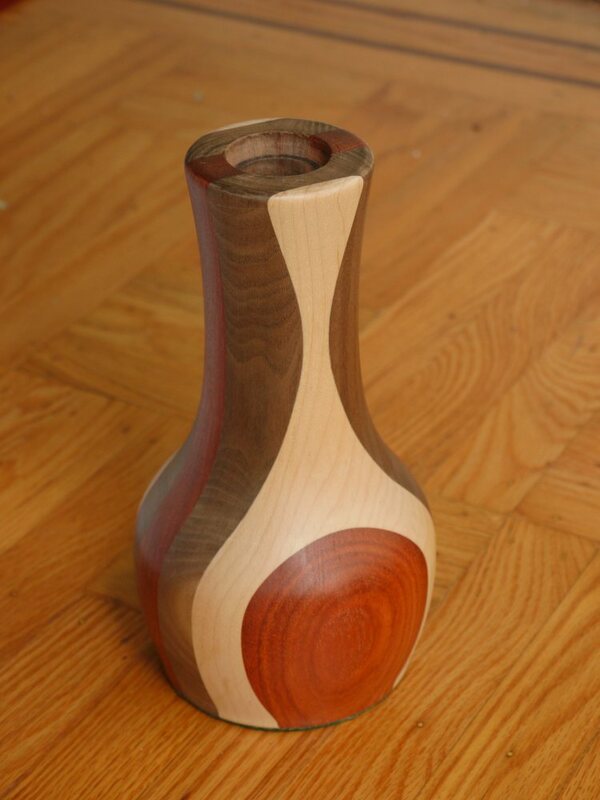 I made this vase by laminating walnut, maple, and bloodwood, into a 5" square by 14" long block, then turning the composite block on a wood lathe. I drilled a 1-5/8" hole with a forstner bit and extension, then inserted a closed acrylic tube so that the vase can hold water (and fresh flowers). This picture frame is made from walnut, yellow heart, and bloodwood. 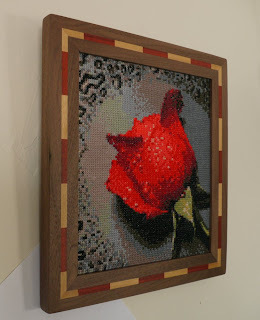 The pattern is NOT inlay, it is solidly constructed by gluing small blocks of bloodwood and yellow heart between two long pieces of walnut. 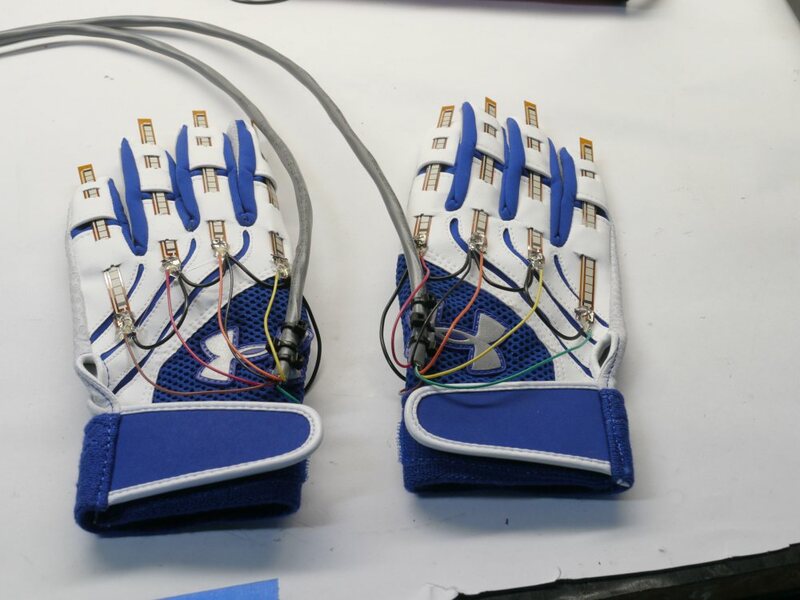 The entire glued assembly was planed, then cut into segments to make the frame. The needlework of the rose was done by my aunt. I have designed and built a joystick that contains no electronic parts -- only fiberoptics. 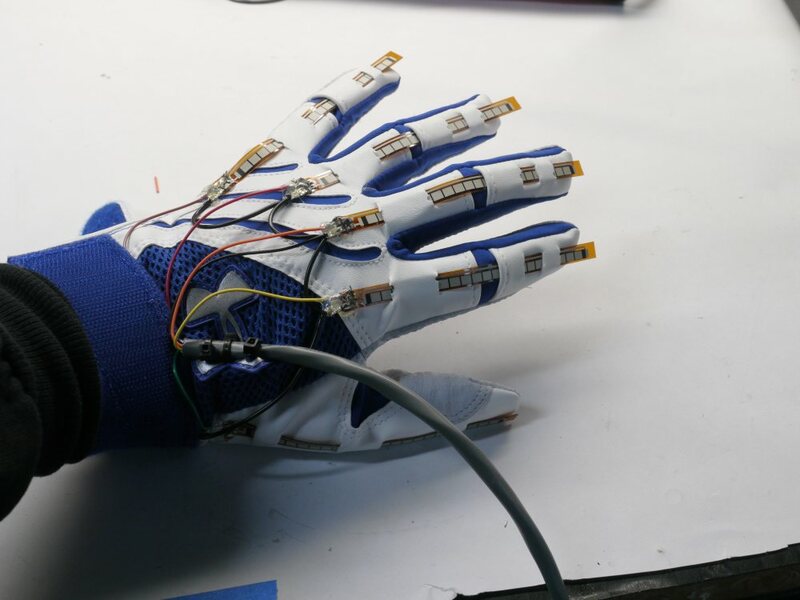 The motion is sensed via quadrature encoding, and the signal processing is handled by an arduino microcontroller. 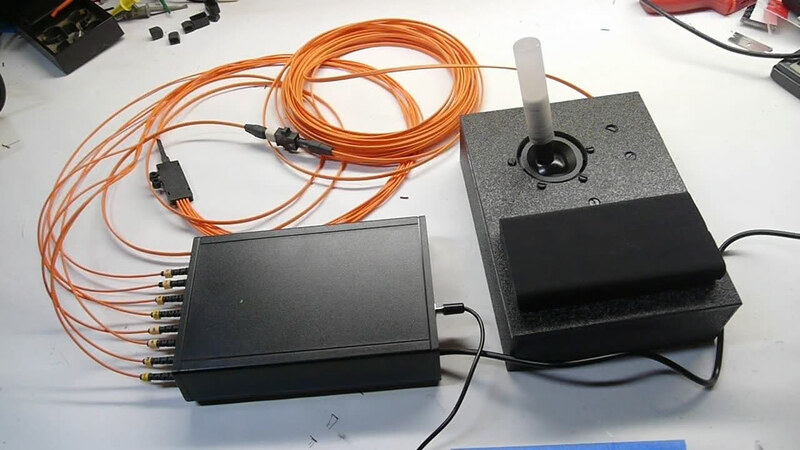 This joystick is designed for use in MEG and MRI scanners where the electronics may interfere with the scanner's operation. I built a pair of flex sensor gloves for capturing the motion of all ten fingers. 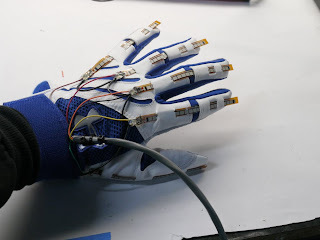 This system uses individual flex sensors made by Spectra Symbol and a National Instruments analog capture device to record the flex sensors' values. 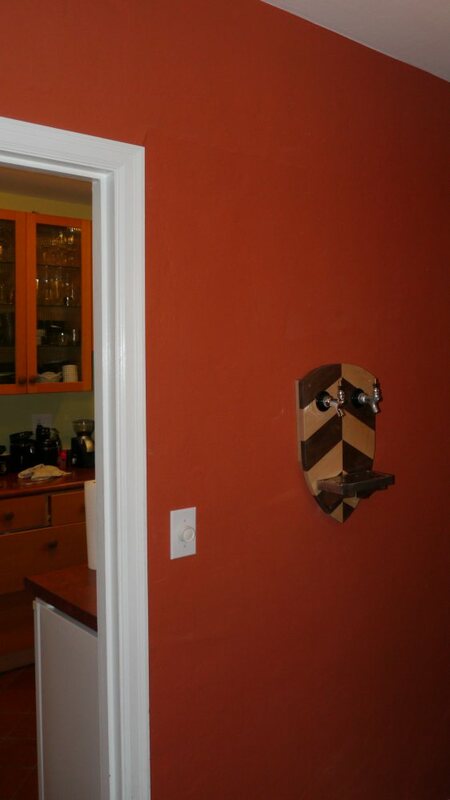 Since moving into my new house, I have been planning to install beer taps into a dining room wall. 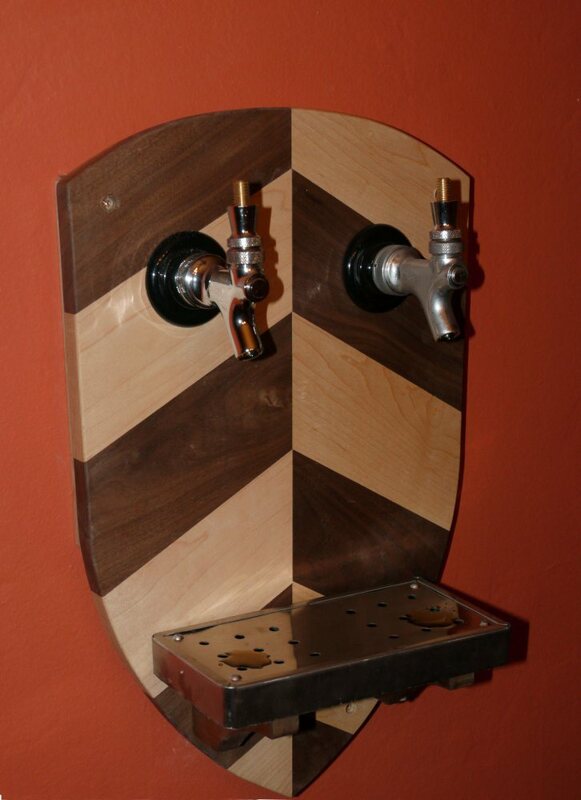 Tonight, I have completed my goal and drank the first beer from the new taps. The faucet on the right is frosty since I just poured a victory beer. I haven't found/made any handles yet. 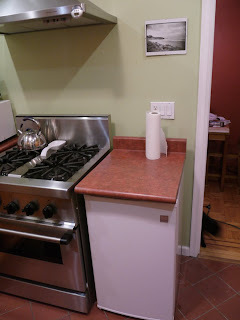 In this photo at the bottom left, you can see the white keg refrigerator under the counter in the kitchen, which is adjacent to the dining room. I chose this location for the fridge, since the beer lines could be kept short, and would lessen the need for beer line cooling. Here's the view from the kitchen. 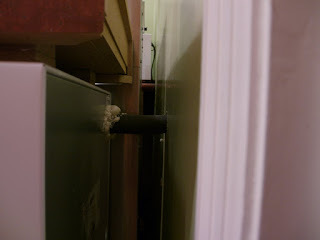 There is a foam-insulated bundle of hoses running from inside the fridge into the wall between the kitchen and dining room. 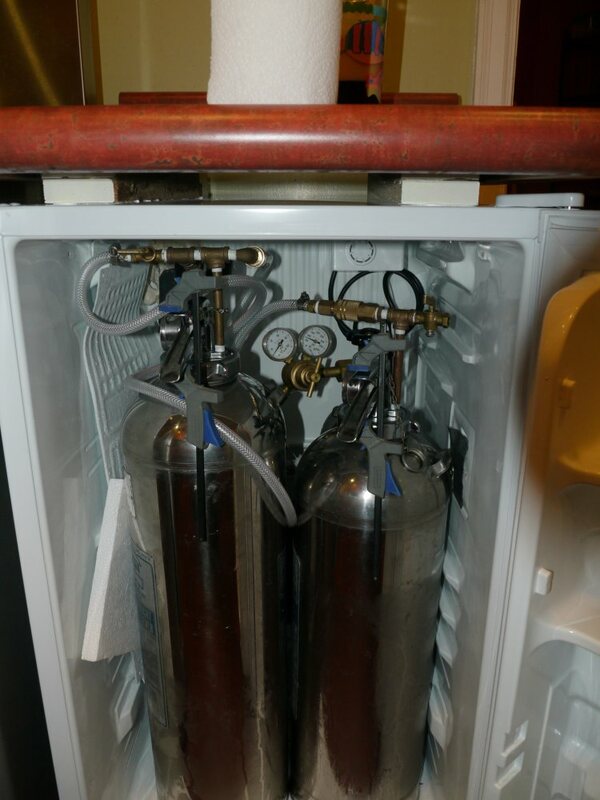 The fridge holds two of my beer fire extinguishers ("thirst extinguisher"), a CO2 tank, regulator, all kinds of different tubing and a cooling fan that blows cold air from the refrigerator up to the space behind the beer taps. This fan is coupled to a 5/16" ID hose that travels up the foam insulated tube to the chamber behind the beer taps. The air returns to the fridge through the space between the beer lines and foam tube. I later sealed the back of this styrofoam chamber with another panel of styrofoam so that any air blown into the chamber would build up a small amount of pressure and be expelled through the foam tube. 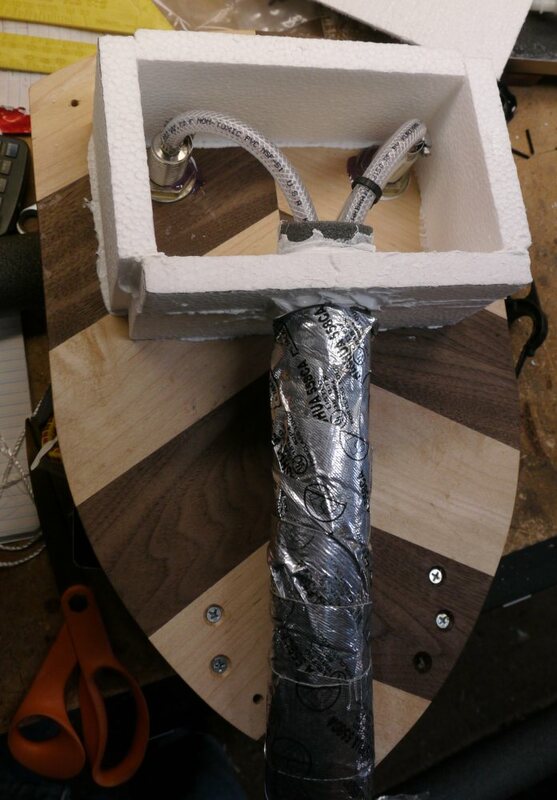 I wrapped the foam tube in duct tape to provide an additional moisture barrier. 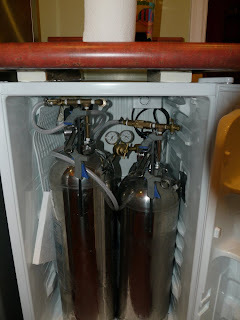 I used 1/4" ID hose between the kegs and the taps. This was not a good choice. 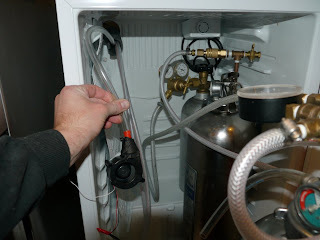 For short runs, 3/16" is better since you can keep the keg pressure at 10-12 psi at around 40*F, and open the tap wide open without the beer exiting too quickly. The 3/16" hose provides substantially more backpressure than 1/4" hose. I will experiment with in-line restrictors since I am NOT taking all of this apart to change the hose size. There is a lot of vague/wrong/incomplete information on the internet about dispensing beer, so that doesn't help either.